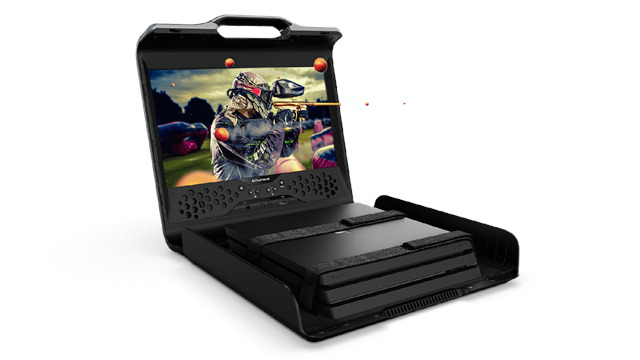 Today we got our first look at The GAEMS Guardian Pro XP Portable Gaming Environment. It is high-end, portable, and designed for eSports competitors, content creators, streamers, and those who love to game on the go. The hard-shell case is TSA-friendly, featuring a 24″ QHD (Quad High Definition) IPS panel. IPS (In-Plane Switching) LCD (liquid crystal display) panels are great for accurate color display and wide viewing angles. It also includes a proprietary dynamic SoundStage™, and an integrated media center. The GAEMS Guardian Pro XP also has a Pic Rail mounting system for microphones, cameras, lighting, and other professional streaming equipment.